Samantha and Aunt Clara. 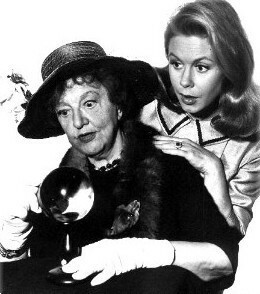 Elizabeth Montgomery with Marion Lorne.. Wallpaper and background images in the 奥さまは魔女 club tagged: elizabeth montgomery bewitched samantha stephens marion lorne aunt clara witch images. This 奥さまは魔女 photo might contain 毛皮のコート, 毛皮の襟, 毛皮のアクセント, ファーコート, ファーカラー, and ファーアクセント. Have A 奥さまは魔女 Thanksgiving 日 From Endora!